SHOO FLY To stop the New World screwworm fly from ravaging cattle in the United States, researchers developed the sterile male eradication technique. Screwworms, the first pest to be eliminated on a large scale by the use of the sterile male technique, have shown an alarming increase, according to U.S. and Mexican officials…. 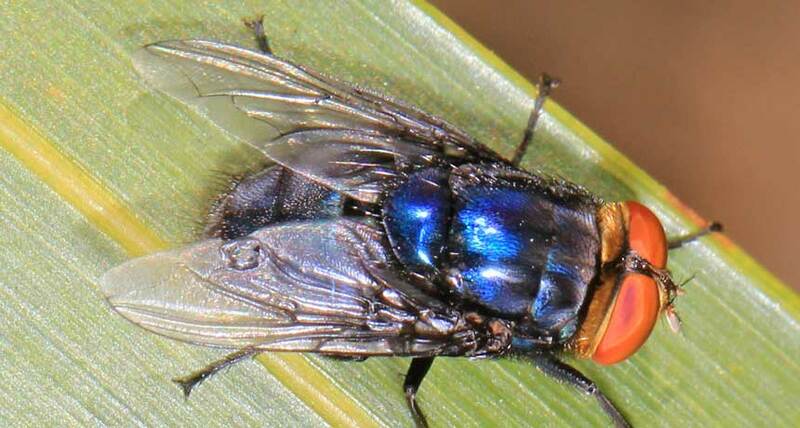 The screwworm fly lays its eggs in open wounds on cattle. The maggots live on the flesh of their host, causing damage and death, and economic losses of many millions of dollars. Though eradicated in the United States in 1966, screwworms reemerged two years later, probably coming up from Mexico. Outbreaks in southern U.S. states in 1972 and in Florida in 2016 were both handled with the sterile male technique, considered one of the most successful approaches for pest control. Males are sterilized with radiation, then released into a population to breed with wild counterparts; no offspring result. The method has been used with other pests, such as mosquitoes, which were dropped by drones over Brazil this year as a test before the technology is used against outbreaks like the Zika virus.